Another day, another early start. This time the local bus was waiting for us in front of the hotel, which made the commute easier. It was still cold but not as cold as the local train. The chair were very comfortable also and between sleeping and snaking on Chocopie biscuits, the 8 hours ride from Jaisalmer to Jodhpur passed faster. 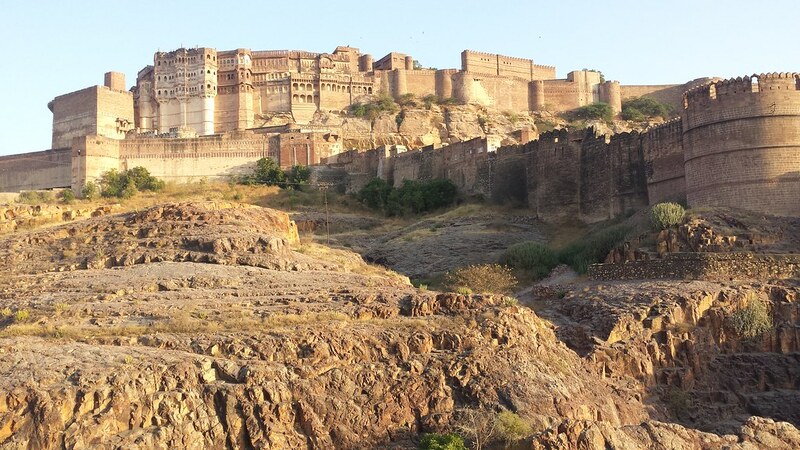 We arrived in Jodhpur in the afternoon and we didn’t have a lot of time before arriving to the hotel and leaving for the Mehrangarh fort. 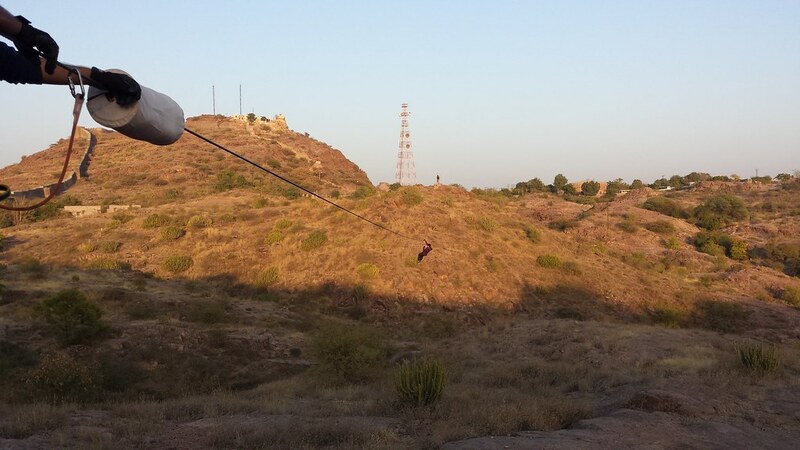 We were to have only half a day in the second biggest city of Rajasthan and the plan was to zip-line at sunset. I hesitated because of my fear of flights but in the end I told myself that it’s a once in a lifetime opportunity to “fly” above a fort in India so I did it. 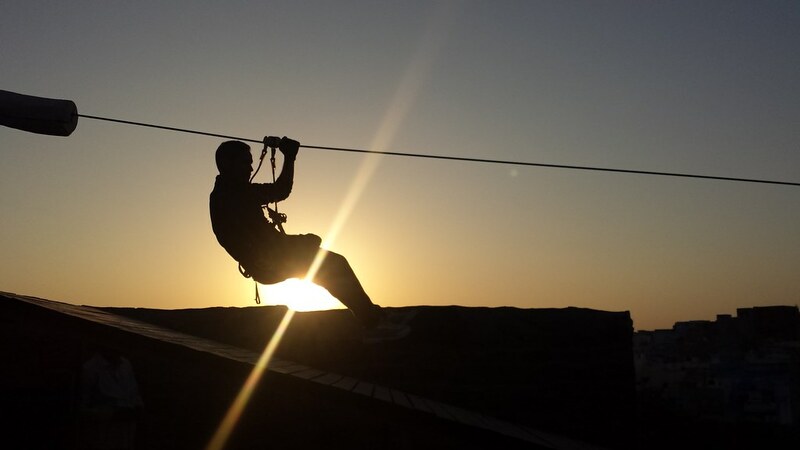 The zip-line centre is located inside the fort and by doing this at sunset you get to wonder around a bit alone, without the tourists inside, at the end. 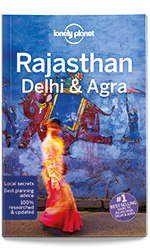 Flying Fox has been operating in Jodhpur for over 10 years now and they appear even in the Lonely Planet as one of the best activities in the area. They have 6 zip-lines that sum 300 meters in total and pass over 2 lakes. We also trekked through the Rao Jodha eco-park while going from one zip-line to the other and enjoyed stunning views of the fort. 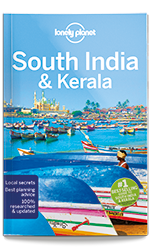 The adventure comes with a high prices though, 1800 rupees, which for India is a fortune. The training was simple and fast, we got to test how the equipment works in a beautiful garden, between two trees. Then we climbed some stairs and arrived on an edge of the fort, our starting point. The first line was going over a lake and the distance to it was pretty high. My heart was jumping out of my chest and my hands were already sweaty. I waited and see how everyone else was going while I couldn’t seem to get the courage to be next. And there is was…. my turn. I didn’t think I got the chance to take a deep breath as the guide pushed me and the journey begin. I screamed and then I opened my eyes and saw the beautiful sights around. It felt that I was sliding very slow, even if it probably took less than a minute to get to the other side. I started to get used to it by the last line, which took us back to the fort. It was a great experience and an awesome feeling! At the end we enjoyed the sun setting down over the city. About Jodhpur I can’t tell you a lot due to the fact that we only spent an afternoon there. 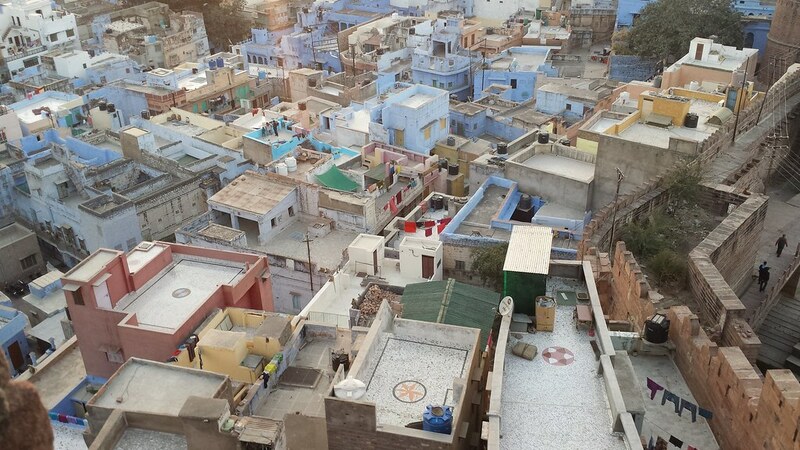 It is not known why the city is painted blue: some people believe that the color is associated with the Brahmin Caste, India’s priestly caste, and the people living in the blue houses belong to it; other people believe that painting the house blue was a way to keep termites away, due to the chemicals in the paint. Our guide mentioned that a scene the Batman Dark Knight Rises was filmed at the fort. Your images look completely breath-taking; it almost feels as if I’m there! 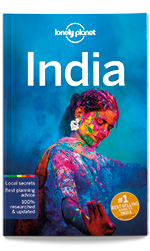 I have always wanted to travel to India, reading this has made me ‘bump’ it up on my list! ^_^ Keep up the amazing work! 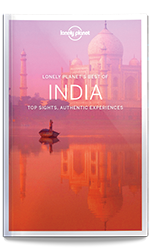 Thank you, India is a country with so many amazing things to see in! As usual, beautiful post and beautiful photos! Thank you!! Good for you for conquering your fear of heights! I would sure love to immerse myself in the same experience if only I were as brave as you. I’m deathly scared of heights. Wow! Your shots are amazing! The adrenaline rush zip lining can give is just BLISS. Hehe. I was hoping you’d have a video of you zip lining, hehe. Cool. I am not comfortable with speed, and scared of heights. So the idea of zip lining is alien to me. 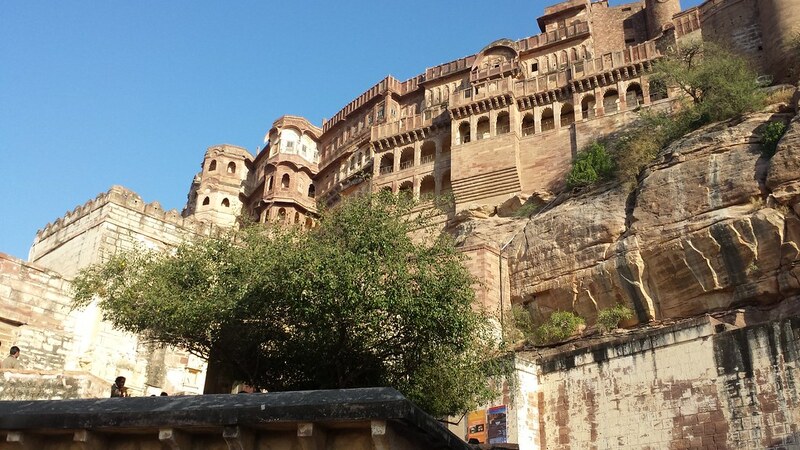 BUT, Mehrangarh Fort looks magnificent! It was the same for me, I was so scared, but the people I was with encouraged me and I did it in the end. It was so much fun, even if I screamed and felt my heart beating very fast. 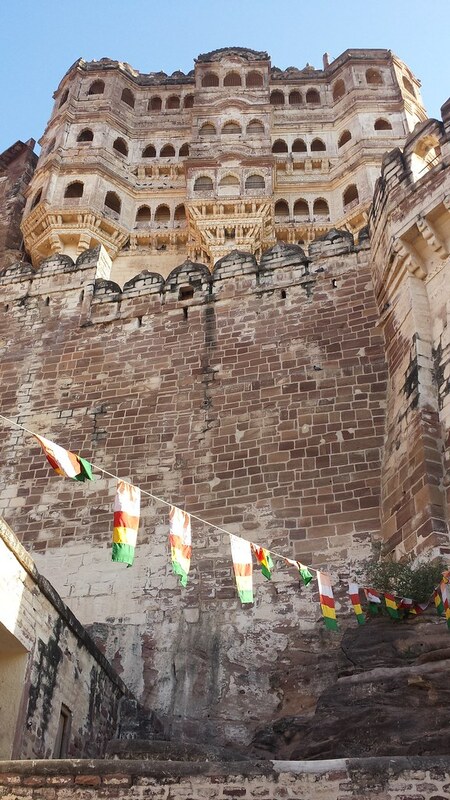 Unfortunately I didn’t have time to visit the fort too, we only had half a day in Jodhpur and by the time we finished the zip line the fort was already closed. My boyfriend told me about this and it’s one of the things he regrets the most not doing on his first trip to India! We will definitely have to do it on our trip together! It looks awesome! Thanks for sharing! Looks like a fun zip-line! Usually the ones I see are in and out of trees/woods and I am terrified of being impaled by some wandering tree limb or something… not this one! What am incredible experience- that’s one for the bucket list! beautiful images. 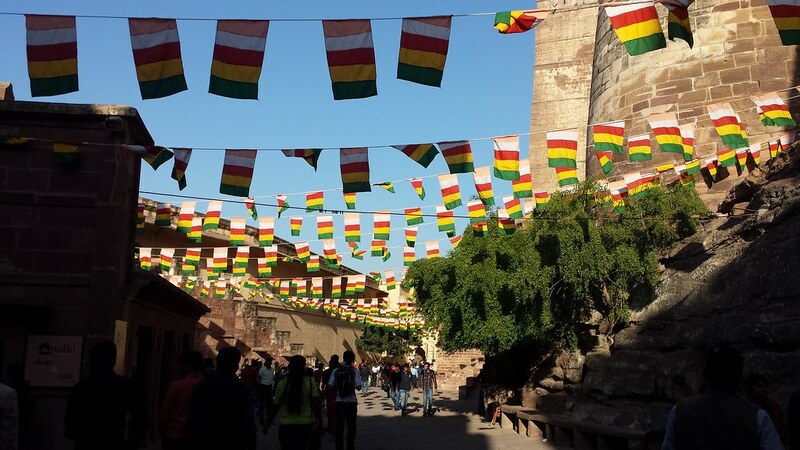 I did not try zip line when I visited but got some pics of this lovely city..
Reading your blog is like I am there with you ziplining in the blue city, I was wondering as to how often you travel if you don’t mind me asking? This got to combine between two favorites things! Forts and zipines!! It’s like ‘Divergent’ novel! I am not used on Heights or Speed, but lately I was trying new adventurous things cause it’s once in a lifetime opportunity! And I am glade you did it, or you would’ve missed the fun!! WOW! That looks like an incredible experience. I would love to give it a try. The colors from sunset and the buildings are incredible. This sounded both terrifying and exhilarating haha! Your photos are beautiful. Wow this looks beautiful. Such wonderful photos too. This is something I’d love to do one day. Love the pictures, it feels like I am almost with you in your trip. This is lovely experience. The pictures are absolutely breathtaking, I never thought India was so beautiful definitely on my list now. And big bravo for conquering your fears, i am also scared of heights but I would love to do zip lining. The architecture of establishment/building is a masterpiece. The place looks magnificent, it’s perfect for zipline. Whenever I visit your page I can’t help but envy you. All the beautiful sights you seen, your pictures are breathtaking like they say a picture paints a 1000 words. It’s so important to retain some of our history for future generations to benefit. One thing I love about India is it’s history it’s still so present and they cherish it. ooooh ziplining during sunset ? A wonderful and unforgettable experience indeed. ? Cheers to more adventures ? As if ziplining isn’t adrenaline rush-inducing and exciting enough, you had to do it in the Blue City! I’ve heard a thing or two about the beauty of its architecture before, but it looks really distinct and out of this world from your photos. Holy smokes this place looks absolutely beautiful!!! What a fun adventure! Definitely adding this to my bucketlist! Wow! I have never tried ziplining and will never do! You are so brave. Great pictures, by the way. Phew! I can just imagine how exhilarating this experience must have been! Zip lining is definitely on my bucket list, but I have a fear of heights, so I don’t know if I will survive. So yay to you for being able to do it! 🙂 and such an amazing view from your zip line! This is the first time I’ve heard about zip-lining in a city! Amazing! Your photos look stunning, by the way! Haven’t tried ziplining because I have acrophobia but I want to conquer my fear some time soon. I hope I can push doing this. I have only tried zip lining once and it was just a few meters above the ground. I’m scared of heights, haha! But this one is truly awesome. Maybe I can try this someday! Ziplining! It gives me the chills and trembles on my knees. I can only imagine doing it in Jodhpur. WOW! All of your photos are beautifully captured. Great job! I’ve tried zip lining and it was fun!! My gosh! I just fell i love with the structure of the houses and buildings! I wonder how I will feel if I am the one zip lining in that place. Hope I can try it out too, soon!